• Expanded Knowledge Corridor Service to Start in 2019! Expanded Knowledge Corridor Service to Start in 2019! 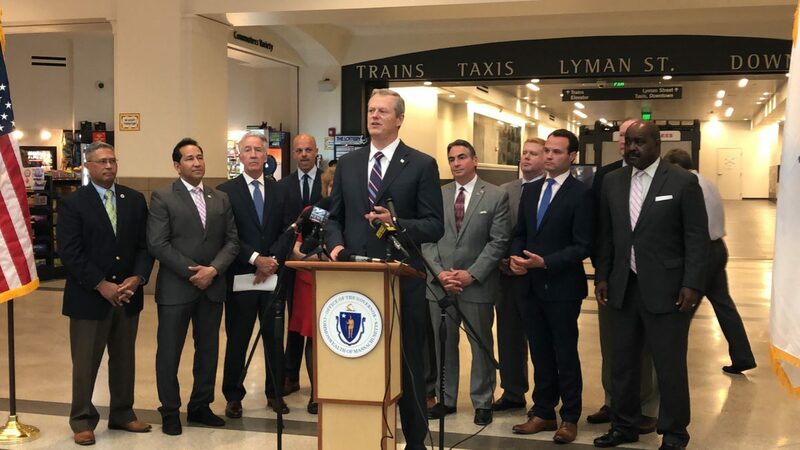 Governor Charlie Baker announced today that a term sheet has been finalized with the Connecticut Department of Transportation which will enable the start of passenger rail service between Springfield and Greenfield beginning on a pilot basis in the Spring of 2019. The pilot service will be operated by Amtrak — with two trains operating from Greenfield to New Haven in the morning and two trains north from New Haven to Greenfield in the evening. Station stops in the Pioneer Valley will include Northampton, Holyoke and Springfield. The service will be timed to allow people from the region to travel to points beyond New Haven — as example New York City — in the morning and return the same day. Transportation Secretary Pollack said today that the pilot service would start after necessary capital projects along the rail corridor are completed. These projects include construction of a high-level boarding platform at Springfield Union Station, an expanded boarding platform in Northampton, as well as track and bridge work along the rail line. Governor Charlie Baker today joined Transportation Secretary and CEO Stephanie Pollack, Congressman Richard Neal, Springfield Mayor Domenic J. Sarno, members of the Massachusetts Legislature and local leaders at Union Station in Springfield to announce a Request for Proposals (RFP) for a consultant team to study the feasibility of east-west passenger rail service. The Request for Proposals will enable the Massachusetts Department of Transportation to carry out an extensive study over approximately 18 months, and analyze many aspects and options for potential east-west passenger rail service. “The Massachusetts Department of Transportation (MassDOT) seeks to examine the feasibility of passenger rail service – up to and including high speed rail – from Boston to Springfield and Pittsfield, with the speed, frequency, and reliability necessary to be a competitive option for travel along this corridor. This study will closely examine any associated implementation challenges, in particular those related to the movement of freight along the corridor, and identify all necessary improvements to support more frequent and higher speed intercity passenger rail service between Boston and Western Massachusetts. At 3:05 pm today MassDOT posted the Bid Solicitation for the East-West Rail Study on COMMBUYS, the official procurement record system for the Commonwealth of Massachusetts’ Executive Departments. Bids are due to be opened on July 9, 2018. Please Note | A more extensive version of the TIV Rail News Update will be issued on Thursday, June 14th.